Blame it on the glossy magazines. When most people think of luxury, they think about high fashion brands that are so well known, and most of the time you need to belong to a whole ‘nother income bracket just to afford just one item. See, what we have realized is that living luxuriously doesn’t mean always going after a $5000 bag. 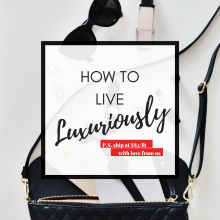 Sometimes living luxuriously may just mean staying away from fast fashion, or paying more attention to the way things are designed, and being more mindful of materials and ingredients that your clothes or skincare products. Here are some shops we feel whose products re-write what being all lux means. LISA SAYS GAH In the world of fast, convenient, fashion, we don’t usually stop to think about the repercussions of buying clothes that don’t last two washes. Lisa Says Gah makes it a point to stock pieces from designers who are mindful..
Keeping up with the travel theme, we’ve searched Amazon with some great travel essentials that will make you be able to have a calm mind to enjoy the holidays that you are about to embark on! 1. OAXIS AirScale Digital Luggage Scale with 6500mAh Fast Charge Power Bank Make sure you will always be within the luggage limit! It’s always help you to know how much you can shop and how you can work around your weight limitation with this helpful item! This handy luggage scale is not only wonderful to keep your luggage weight in check , but also to keep your essentials powered up. This item doesn’t presently deliver to Singapore, but there is also free shipping for this when sent within USA, so get signed to our service and you’ll be able to gain access to our US warehouse to get this home to your door at..
Travel with Style like Journey Frog! 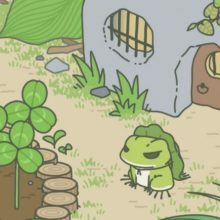 Are you hooked on Tabikaeru: Journey Frog like us? If you haven’t heard of this game, it’s not too late to get on board with this latest release from Japanese developer Hit-Point, the team best-known for the addictive and adorable cat-collecting game Neko Atsume! Tabikaeru is available for free on both Android and iOS, and it has been one of the top most downloaded apps in past months in various countries. While waiting for the frog to return from travel, the travel bug in us got us itching too! The next NATAS Travel Fair will be held in 23 – 25 March 2018, it’s time to check those destinations off your bucket list! Check out some smart suitcases that are guaranteed to make traveling a whole lot easier and efficient during your next trip to the airport! 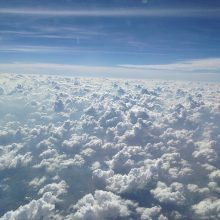 Most of them deliver within US for free, of course you can rely.. Spend More, Save More at Need Supply Co.
It’s the best time to stock up on modern wardrobe staples at Need Supply Co. now as they are running a Spend More, Save More Sale! You get 10% off for any orders over USD $250, or 15% off if you purchase more than USD $350. Discount will automatically apply in checkout, no code is required. This promotion applies to all the new spring arrivals, check out the must-have pieces for SS18 here! Do note that this promotion ends on Friday, March 16th 11:59pm ET, and shipping within US is FREE for all orders over USD $100. Instead of paying USD $25 for international shipping, just sign up with us, and we will bring these fashion pieces to you at only SGD $3/lb! Thanks to a few courses currently being offered by Skills Future, there’s been a mini revival of the skill of sewing. We also know of many Singaporean mummies who love making little clothes or accessories for their little ones. Completing a project for someone we love especially comes with such a sense of achievement. But what makes sewing as a hobby additionally fun is the excuse it gives us to shop. 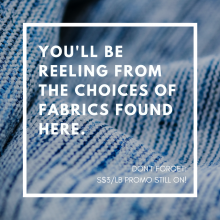 That’s countless hours trawling through Spotlight, Arab Street or People’s Park Complex trying to find the perfect fabric to work on a new personal project. And yet we have to admit that the choices we get locally are still limited, and sometimes expensive. 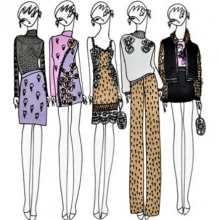 But thanks to some friends who are hobbyists, and who have also spent many hours researching for online shops to get special kinds of fabric types and prints, we have put together short list that will..
Party Time with River Island and Holly Fulton! While we’re on the subject of affordable luxury fashion, River Island collaborated recently with famed Scottish Designer Holly Fulton. Fulton, also known as the “Queen of Prints” has been a Hollywood favourite since her first show at London Fashion Week in 2009. Her style is more of an homage to art-deco bold prints, vibrant colours with lots of bling! Her 13 piece inspired by “Party Girls Through the Ages” collection from River Island is now available here with free delivery – standard and express – for orders within the UK. Sign up with us to gain access to our UK warehouse and we’ll ship it home to Singapore for you at our current promo rate of S$5/lb! Former Louis Vuitton’s creative director, Kim Jones is collaborating with GU to reissue select pieces from his Kim Jones brand archive. Launching from March 21 on GU’s web store, the collection consists of full range of clothing and accessories. GU, the sister brand of Uniqlo, is known for its fashionable casualwear in entry price, so the price range of this special collection is said to be very affordable, the most expensive item in the accessories line is only 2,490 yen. Check out the full collection here! Want to score these designer pieces at a fraction of luxury price? Sign up with us and get them shipped to our Japan warehouse! Vans has partnered with Urban Outfitters to launch a footwear collaboration inspired by playing cards. 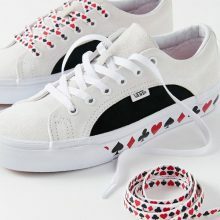 Evoking children’s classic Alice in Wonderland, iconic styles of the skate brand like classic Slip-On and Old Skool are updated with playing card motifs of Clubs, Diamonds, Hearts and Spades. Ranging from $60-70 USD, you can now shop Vans x UO’s new kicks on urbanoutfitters.com. Remember to sign up with us and take advantage of the free US shipping for orders over USD $50! New Balance is going luxe with its classic 574 silhouette! Limited-edition iterations of the model arrive in “Platinum,” black and “Gunmetal” colorways that are accented with Swarovski crystals along the “N” logo. Pearlized leather covers the collar and tongue tag to complement the embossing on the heel. Each pair will also come equipped with an extra set of matching ribbon laces, adding to the luxury of the shoes. 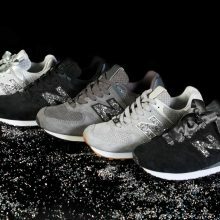 You can shop the sparkling sneakers on newbalance.com on New Balance’s Grey Day – March 15. Local shipping within the US is FREE, so just pay $3/lb and we will get these bling bling straight to your door! The 90’s sportswear logo trend is not going anywhere in 2018! 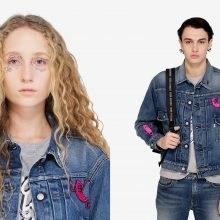 Champion has made a huge comeback in fashion in the last couple of years. From a huge line of hoodies to logo dad caps, fashion kids simply can’t get enough of the brand. In collaboration with BEAMS, the sports brand has recently unveiled an unexpected release: an eye mask. Coming in heather grey, this travel-ready accessory is perfect for ladies who’re constantly on-the-go. Embroidered with two Champion logos, this item is just what you need to sleep in style. Priced at £39, you can now shop the Champion x BEAMS sleep mask over at END Clothing. Instead of paying SGD $32.00 for the international shipping, you can opt for standard UK shipping at only £2.95, just top up SGD $3/lb and we will get the item to your door!